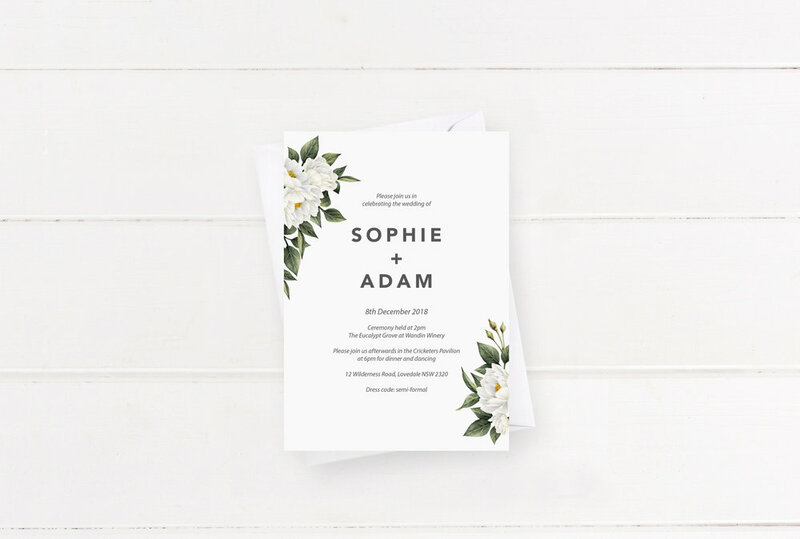 We believe your wedding stationery should reflect the look and feel of your wedding day. Our aim is to create something you love and make the process as stress free and enjoyable as possible. 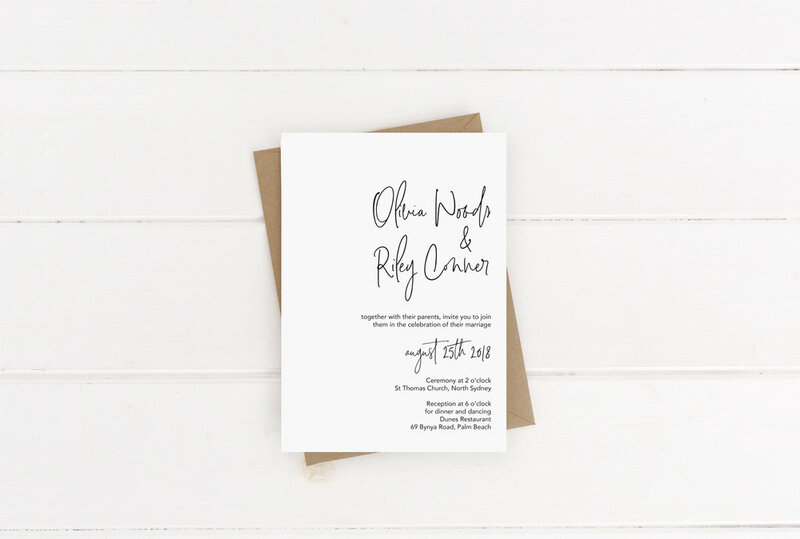 We offer two options for ordering wedding stationery: collection and custom. 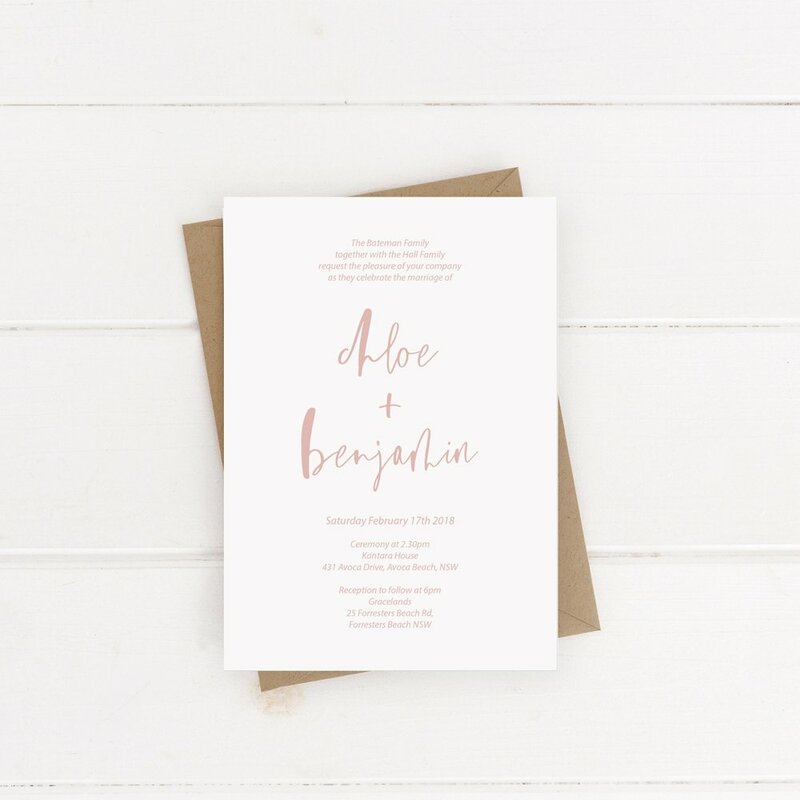 Our wedding collection is thoughtfully designed for the modern bride that is looking for simple, whimsical designs. 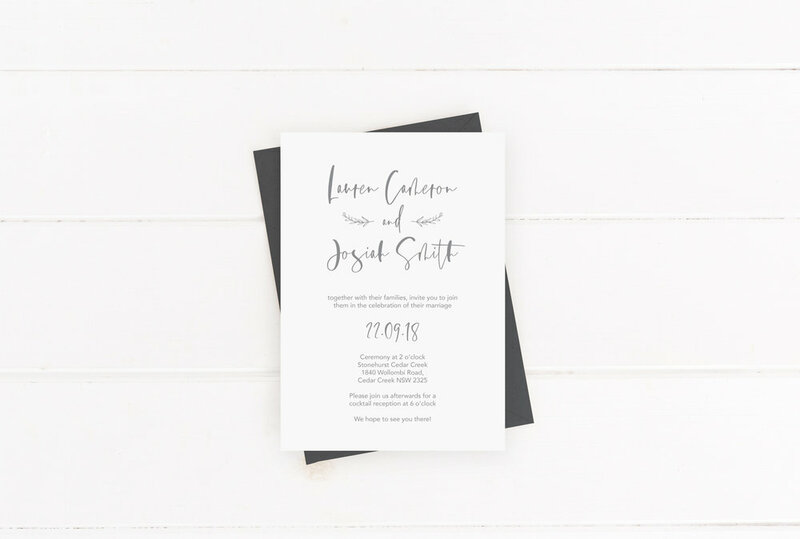 Simply browse our pre-designed invitations to find a design that suits your style. 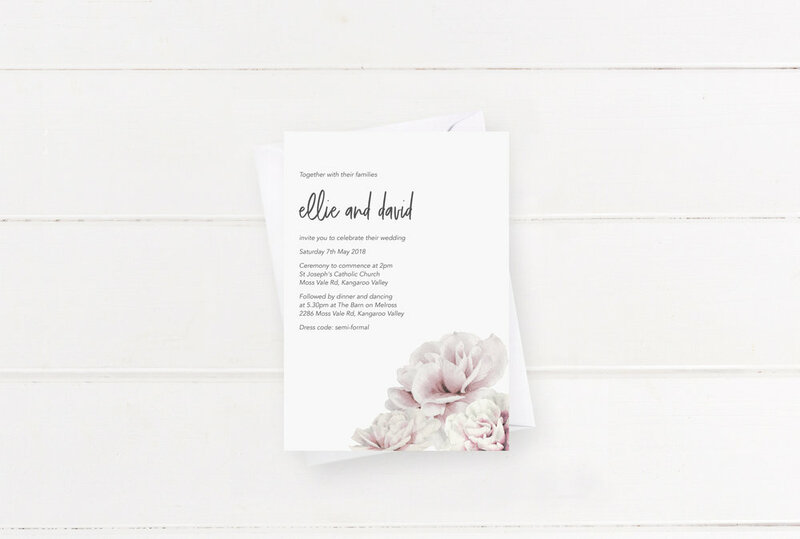 Each piece can be customised with your chosen wording and colour scheme.